Ping pong is a national sport here. It is played by people of all ages. Even I played it the other day. Children learn the game early, and in the middle class, they are often sent to special ping pong classes as we send children to baseball or soccer camp. 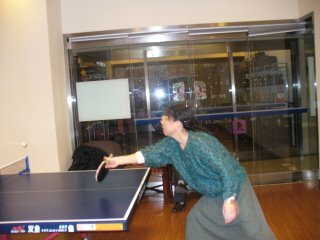 Above, a professor close to my age plays ping-pong. 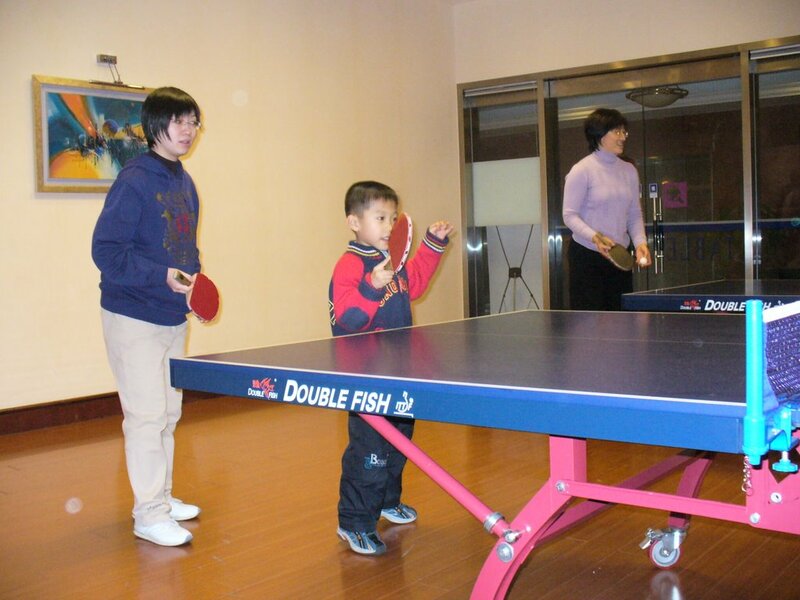 Below, an elementary school child plays the game as his mother watches proudly. The ball is in your court - buy the dog!! I don't even know where he is. A market isn't a pet shop. He's probably better off in China. He'd have to be in quarantine for weeks. Why do you feel so strongly?